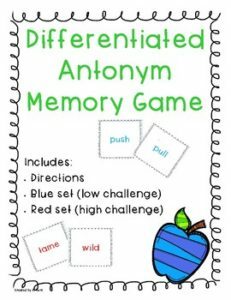 Included is two sets of differentiated antonym cards. These are great to use as a center game. Cards are based on a second grade reading level. The blue set is low challenge and the red set is high challenge.